You have been assigned to an important team project in your organization. The work has significant cross-departmental implications and you are planning to attend the kick-off meeting of your new team. What do you expect from the meeting? For many of us, the first hour of the first team meeting would feel like a waste of time (and of stakeholders’ trust)if we didn’t start getting some work done. And some of us, once put in charge, would just feel, well,unprofessional without a beautiful PowerPoint slide that details the key team objectives. Not so fast, says Alex Pentland of MIT Media Lab. According to Pentland’s research, at this stage the best teams take the time to get to know each other and get their project team coach to help them ‘form and norm’ effectively, rather than start the actual work. This includes clarifying the external sponsorship and commission the team has been given, the team’s purpose, level of authority, other key details, and—more importantly—the team members’ individual’s goals, aspirations and expected outcomes for the task at hand. Especially for the type-As among us, this feel counterintuitive, almost a waste of precious time. Yet Pentland’s findings point to the importance of full engagement and frequent interpersonal communication to develop high-performing teams. The first meeting of a new team is often the one that sets the stage for its future performance. Yet very few people take the time to really get to know each other beyond a rote icebreaker exercise or a quick-name-your-department-and-years-in-the-organization kind of introduction. Many would consider my suggestion to take some time to answer questions below an exercise in collective navel gazing. Yet the research shoes that teams that engage in happy hours or informal mixers rather than formal kick-off meetings are consistently more likely to become high-performing. So bottoms up! Who are you and what are the strengths that you bring to this work? Why are you excited to do this work? What do you personally hope to accomplish? What will we be most proud of when we are successful? What is our primary purpose? What are the specific goals by which we will measure our success? Who are our external sponsors and what mission have they given to us? What might prevent us from achieving the goal and how might we address any obstacles or pitfalls? What challenge do we anticipate? What will we need from each other to achieve success? How will we need to operate as a team? 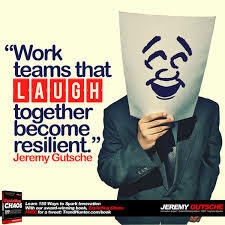 What are the most likely ways we could run into difficulties as a team? How might we organize to avoid those pitfalls? Tell me, what could the counterintuitive new science of team success deliver in your organization? Enjoy the discovery.